Watford climbed up to seventh in the Premier League table after they rescued a point with a late equalizer against Southhampton this afternoon. 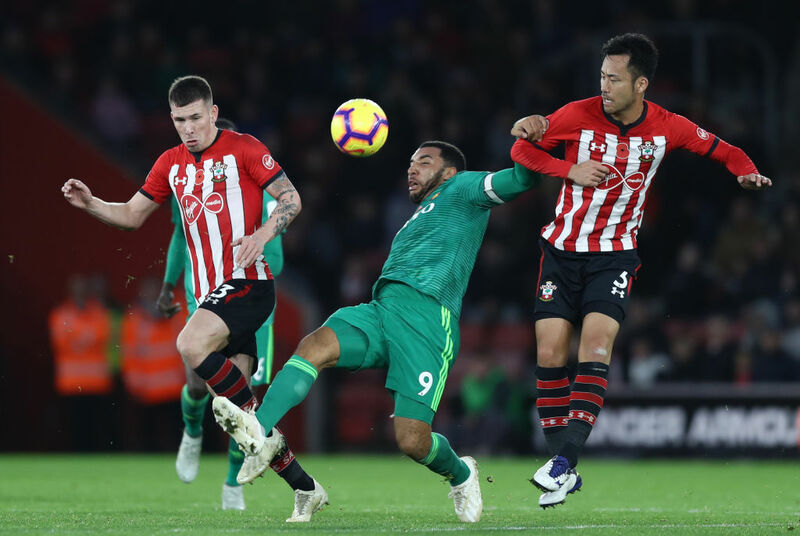 The game was marred by controversy as the referee, Simon Hooper, incorrectly ruled a goal from Charlie Austin offside, believing that the ball had touched off Maya Yoshida who was in an offside position. The goal would have put the Saints 2-0 ahead after Manolo Gabbiadini finished off an effort from close range. Watford rallied late on and a shot from Jose Holebas took a slight deflection off Cedric Soares and went in to rescue a point, subjecting Southhampton to 17th place in the table. Austin was, naturally, seething after the final whistle and didn’t hold back when asked for his opinion on the officials.